Don’t miss: Learning the gruesome truth about torture, witches and more! 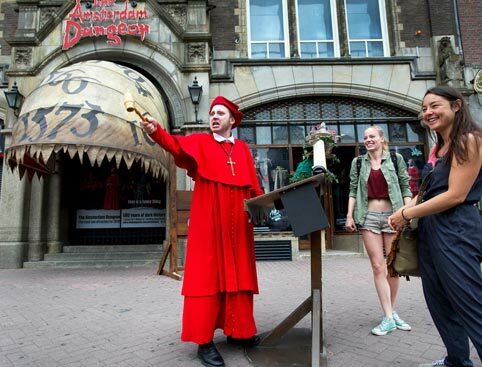 See, hear, touch and even smell Amsterdam’s murky past at the Amsterdam Dungeon – a walk-through experience that’s guaranteed to give you the funniest fright of your life! 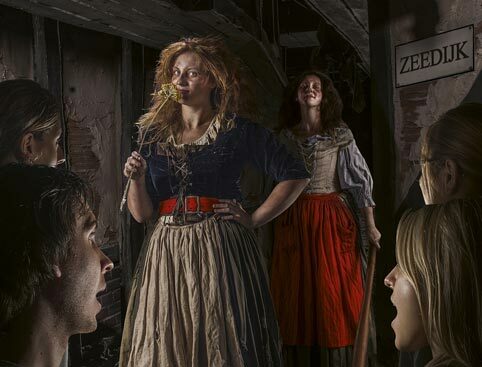 An amazing cast of theatrical actors will guide you through 500 years of Amsterdam’s dark history on a bloodcurdlingly hilarious 80-minute journey, filled with state-of-the-art special effects, 360º shows and terrifying twists and turns…. The smell of rotting flesh and the pleas for mercy will make you shiver with fear as you discover how horrific and merciless punishment could be in the Golden Age. Follow in the steps of thousands of young sailors who sold their souls, and find out about terrible illnesses, awful deaths and repulsive conditions they had to conquer. Enter the cursed house of the condemned witch, and feel the chill in your bones as you come eye-to-eye with a ghostly appearance that will make you go numb with fear… do you still have time to escape? You are lost in the dark streets of Amsterdam, with panic all around. You need to escape but you cannot see a thing. Is there really a way out of this confusing labyrinth? 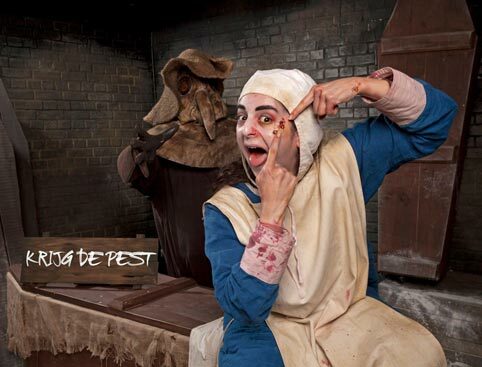 ….And many more horrifically hilarious attractions! 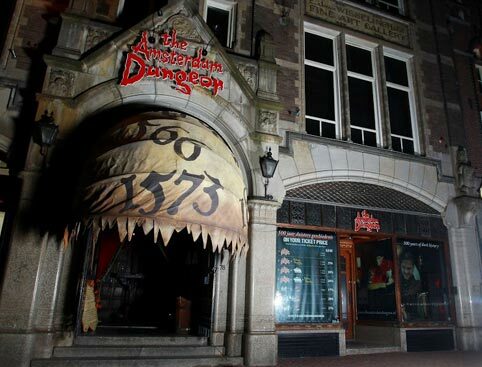 Amsterdam Dungeon is located at Rokin 78, 1012 KW Amsterdam, The Netherlands. Open 364 days a year except 27th April. 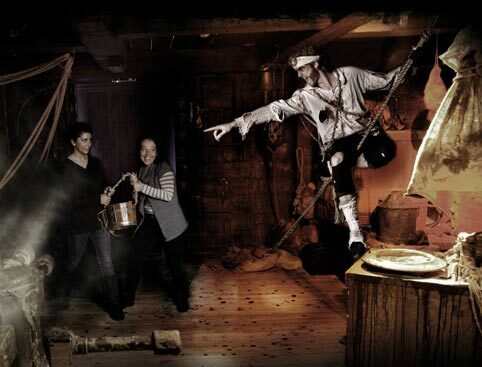 The Amsterdam Dungeon is wheelchair accessible – however you may not be able to experience the full tour due to technical effects during the last show. The dungeon is not recommended for anyone who may be sensitive to sound or lighting effects.